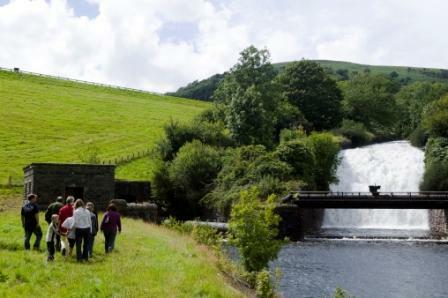 Talybont on Usk Energy Ltd owns and manages a community hydro scheme in the Brecon Beacons National Park. Our 36kW hydro electric turbine works off the compensation flow from Talybont Reservoir and has been running since 2006. It was the first community hydro scheme in Wales. We sell the electricity generated by the hydro via Good Energy and invest the income in energy saving and sustainable living projects within our rural community in the Brecon Beacons. 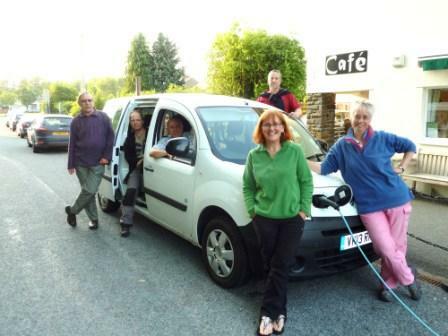 Since 2010, we have operated a community eco car share scheme with one electric van and a car running on recycled vegetable oil. Over the past 4 years, we have installed 8kW PV panels on the community hall roof which helps cover the hall’s running costs and powers the community electric car. More recently, we have funded the installation of air source heating in the hall and an eco pod for the community teenagers to enjoy. We have developed a primary school education package and collaborated with our community cub group to develop the first ever community eco award for cubs. We fund the Talybont community newsletter and also donate a proportion of our hydro income to the Community Council to award to a wide range of community projects. You can read on this site about who we are, our aims and history, the Talybont turbine and our community projects. You can also catch up with our latest news and views. The planned pipe maintenance by Dwr Cymru Welsh Water is now scheduled to start in January 2018. Unfortunately, our Talybont hydro will be out of operation for a further 6-9 months. The long period without income for Talybont Energy has effectively stalled the projects we can undertake. It also means that we are unable to offer turbine visits for the time being to other communities, visiting politicians or the media. We are having regular update discussions with Dwr Cymru Welsh Water and value our ongoing partnership with them. Well done to you all. I live in Trefriw, we are famous for our lakes, reservoirs and cascading rivers. How do we build our own hydroelectric scheme? At Talybont, we were very lucky as there was already a reservoir that had a disused hydro scheme from the 1930’s so there were no significant land ownership and planning issues (which plague many schemes) and much of the necessary infrastructure was already there. We had to install a new turbine in the existing turbine house. We lease the turbine house from our friendly landlords, Welsh Water. A good company to get in touch with if you have a possible scheme to consider is TGV Hydro They are local to us but may consider projects in North Wales. Good Luck!